Can-Do-It Farm summer camp began in 1975. Girls from all over the world have attended the camp over the years. We take 10 girls each week of horse camp, and our main interest is horse-related activities. Teaching young girls to be safe around horses while enjoying all of the excitement of riding and learning about them is our goal. If you have a young camper who just "loves" horses, and everything that goes along with them...this may be the right camp for you. It is small, family run, and in business for many years. We have all of the horses at the camp, and provide safety helmets for all riders. Our counselors are young ladies who have attended our camps in the past, and have returned to spread the joy of horses to our younger campers. We truly love horses and everything that goes with them. We want your campers to learn the right way to interact with these wonderful animals. From training on the ground, riding at all levels and styles, and making horses a part of their lives. This is our goal at Can-Do-It Farm. Candy Stokes is our Camp Director and has been since 1975. We hope to see you this summer. A CAMP FOR GIRLS WHO LOVE HORSES. Located in Jefferson, Ohio the Farm has been serving the community for many years. we now have campers attending who are children of previous campers! We depend on campers referring other girls who love horses as much as they do! So please pass the word around to the girls who want a camp that is all about horses, all day, every day. Please check out some of the special pages on the site. 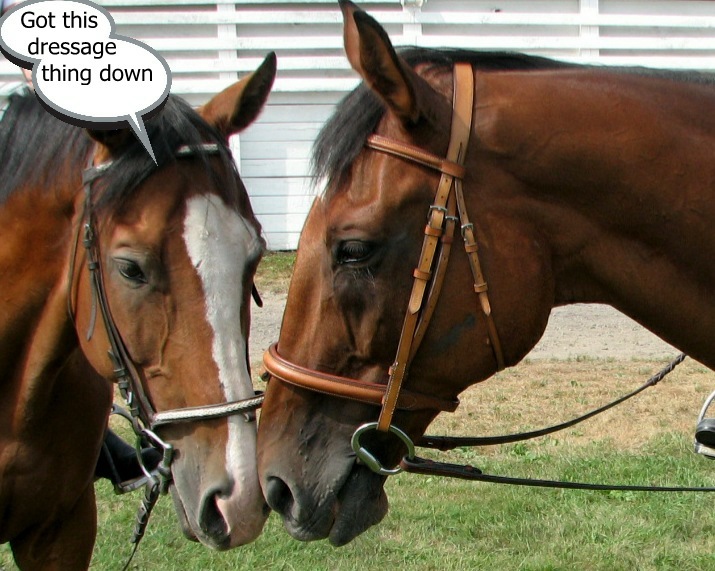 our "horse talk" is fun to read, and will introduce you to the horses. You can see pictures of the horses on the "horses" page of the site. We hope you will enjoy the web site, and maybe give our summer camp a special "look" for your horse loving young campers. Our camp is small, but loaded with fun and learning for girls who really love horses, ALL DAY LONG. As the summer of 2019 slowly comes closer, it is not too early to think about a summer of horses! Can-Do-It Farm is already thinking about it! I will be hiring one more counselor to work with the girls next season, and will be ready for resume's anytime now! If you are 18 yrs old +, and love to teach young girls to ride horses, and are a non-smoker, and a hard worker, and love horses. I would love to hear from you. send a picture, a resume' and a few references to me, Candy: 2279 East Union Road, Jefferson, Ohio 44047. Please include your cell phone number along with your email address with your resume. Note that English riding is required as a background to your skills. You will reside on the camp from June 15-July 28th. I hope to hear from lots of interesting candidates to teach our campers. CAMPS WILL TAKE 3-10 GIRLS INTO EACH WEEK OF SUMMER RIDING CAMP THIS SEASON, STARTING IN JUNE. See the 2019 dates below. More information on the camps will be updated soon. A camp that is all about horses! This is what many young girls dream about for their ideal summer riding experience. Can-Do-It Farm has been in the same location since 1975, with the same Camp Director. We squeeze in as much riding time as possible, as the girls are here for one thing HORSES!! . We do not offer other sports at our camp. Just horse-related activities. Safety lessons are included with the daily riding lessons offered to the girls. Riding lessons twice every day, learning new activities like dressage, jumping, cross country riding and jumping, and just plain fun riding! Our horses reside on the Farm all year round and await the arrival (or return) of campers who love them. the dates are listed below for the upcoming season. Sign up begins December 1st.